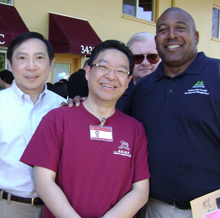 Twenty-five years ago, Dr. Erik Szeto, a family physician, laid the groundwork for the establishment of the Asian Health and Service Center (AHSC) in Portland. What began as a social service center for Chinese immigrants and ethnic Chinese has expanded its scope to offer health and wellness services and resources for diverse Asian communities in multiple locations. The center offers a broad range of services: from health seminars to Chinese medicine, behavioral and mental-health programs, a preschool program, and a host of senior social groups. Programs are available to more than 1,500 members of the local Asian-American community. From its humble start at a shared facility of the Chinese Presbyterian Church, AHSC recently opened its new, larger activities center, and is gearing up for a 25-year anniversary celebration in the fall. Revisiting the center’s evolution with Dr. Szeto reveals an organization that responds to the changing needs of a growing Asian-American community in the Portland area. 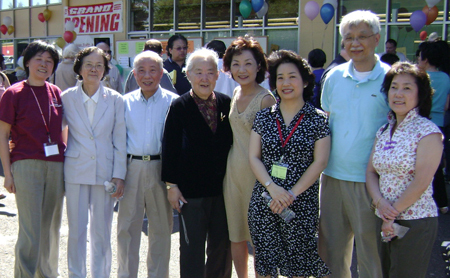 In 1983, the center opened its doors to serve the needs of a growing yet underserved population of Chinese immigrants. Szeto saw how cultural and linguistic issues worked as barriers to access to community services and support for Chinese women and seniors. "I’m a family physician. I found that there are lots of problems among Asians that aren’t being taken care of. Back then, assistance for immigrants — especially women, the elderly, and those with mental-health issues — was practically nonexistent," Szeto notes. At the time, mental-health services for the Indo-Chinese community were provided to refugees coming from Southeast Asia. Programs were not tailored to immigrants. "The perception was that Asians have no problems. We take care of ourselves. We’re quiet and don’t cause a lot of trouble. People would ask me: ‘Is there enough need in the community for a center?’"
In the early 1980s, there was a huge need for social support for immigrant women from Asia who experienced domestic violence. For first-generation Chinese couples, the stress of adapting to a new life in the United States often caused marital conflicts. When family problems erupted, many immigrant women didn’t have a place to turn to for support. Senior issues were another important focus. "Imagine coming to live in a different country in your 60s or 70s. Often, the elderly come here to take care of their grandchildren," says Szeto. "They don’t speak the language. Outside of their home, there’s no other place to go. Many senior immigrants suffer from isolation and loneliness." 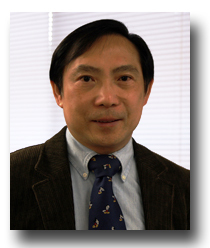 Szeto led a community group that advocated for a Chinese social service center. He credits the late Oregon Congresswoman Edith Green, who was instrumental in providing constructive feedback and making introductions to key people who could help get the project started. Szeto’s determination to get funding for the project never wavered. To get public and private partners to come on board, supporters of the idea pounded the pavement to raise awareness about issues in providing culturally competent mental-health and other services to the community. A Multnomah County report on services for at-risk seniors underscored the gap for services for Asian-Americans. There was one year when the report statistics showed that county-sponsored mental health services served only six Asians. Then as now, the challenges of growing a nonprofit agency are immense, says Szeto. "Financial constraints caused us a few times to almost close our doors. But we managed to keep on top." Navigating the political landscape of securing private grants and public funding is one of the hurdles that the group had to overcome. “Asians are not politically strong. One unfortunate aspect is that we don’t have a lot of help from the government. Asians don’t participate in politics as much, especially in Oregon. But I think that’s beginning to change. It’s almost like we have to constantly assert that we are here, and we need help. We are part of this society, we pay taxes – we deserve help,” says Szeto. Today, the breadth of program offerings shows how the center listens to the needs of the community. Classes for English learners emphasize practical, conversational English used for daily activities, such as filling out forms, returning merchandise, or scheduling appointments. Young children enrolled in Yu-Miao Preschool learn the Mandarin language and about Chinese culture. Health screenings are offered by volunteer medical providers at the center’s annual health fair. Through vigorous grant-seeking efforts, AHSC has successfully secured foundation grants that allow it to meet a wide array of unserved needs, including programs that specifically target women’s health issues and the needs of seniors and their caregivers. A Komen Community Grant funds AHSC’s Asian Breast Cancer Survivorship Program, which targets the growing number of Chinese and Korean community members who do not have access to breast cancer survivor services. AHSC anticipates serving 60 survivors directly through support groups and reaching about 800 women through outreach and education. The Breast Health Promotion Project — funded by Susan G. Komen for the Cure and the Avon Breast Cancer Fund — helps low-income women age 40 to 64 access free mammograms and pelvic exams. The project also offers support scheduling interpreters for medical appointments, and provides materials on breast health in Korean and Chinese women. Support is also available to caregivers through the Asian Family Caregiver Program, funded by Washington County’s Department of Aging, Disability & Veteran Services. AHSC launched a comprehensive, culturally specific caregiver education and support program for the Asian community in Washington County. The program brings culturally appropriate education and training to caregivers and their family members. Yet another AHSC program is Tea Link: A Community Engagement Program. Funded by the Northwest Health Foundation, it is a community engagement program that provides a social network for Asians isolated by language barriers in the Portland metropolitan area. "I’m proud of what the center has accomplished over the years," says Szeto. "Twenty-five years in operation, and we continue to bring awareness to the general public about the needs of the Asian community. We have needs, and we deserve help."